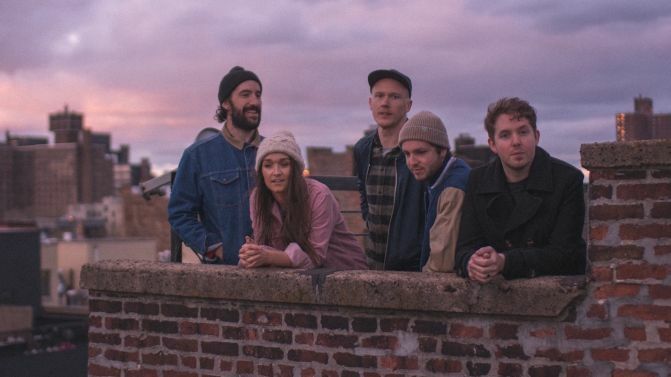 Melbourne indie folksters The Paper Kites have announced a 2019 national tour behind their latest album On The Corner Where You Live. The group, who have released two albums this year — On The Train Ride Home and On The Corner Where You Live — will kick off their national album tour in late February, performing in Canberra, Newcastle, Sydney, Adelaide, Perth, Dunsborough, Miami, Brisbane and Melbourne along the way. “It has been way too long since we have had the opportunity to tour our home country,” says bassist Sam Rasmussen. Catch all the tour dates and ticket details for the band’s 2019 national tour, below. The Paper Kites teamed up with producer Peter Katis (who has previously worked with the likes of Interpol and The National) for On The Corner Where You Live, which arrived back in September. “It’s a collection of stories about these characters all living in an apartment building; I wanted to capture moments, feelings, it’s about people and their stories,” says frontman Sam Bentley. Watch the video for album cut ‘Give Me Your Fire, Give Me Your Rain’, below.